Hello sweet friends. 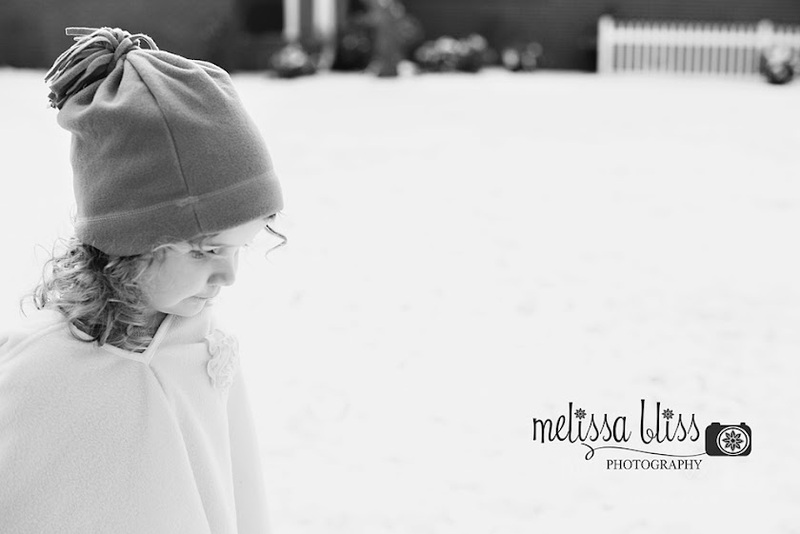 Thought I'd share a few more images from our snow day last weekend. In contrast, today was a balmy 72 degrees! That's winter in SE Virginia for you. Don't forget, tomorrow's Friday Photo Journal. 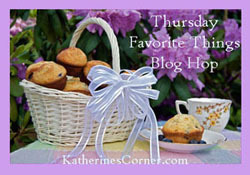 Come by and link up your favorite shots of the week. You can grab the button in my sidebar. As always, I'm blown away by your beautiful photos, Melissa. 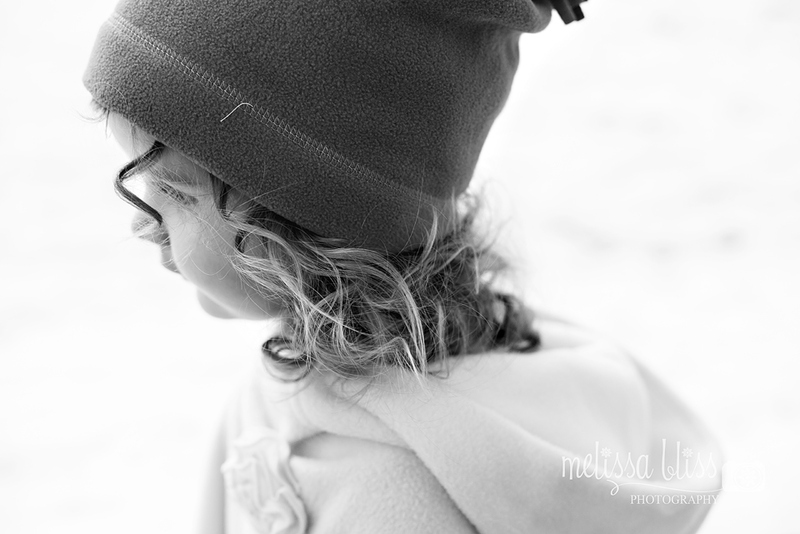 How precious she is- I so adore those curls coming out of her hat. How beautiful these are, Melissa, and so perfect in black and white. 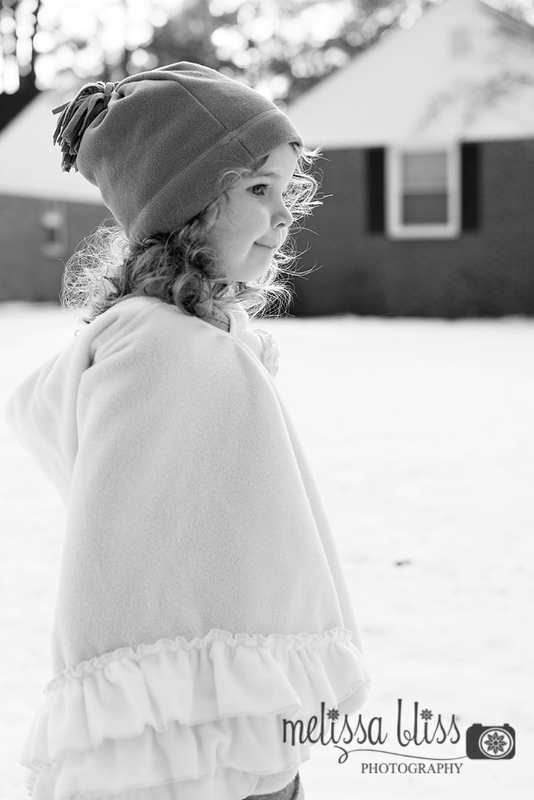 She is such a cute little snow bunny. Glad you had that snow day. Love your B&W's as always. I love these in black and white. So classic! These are so very lovely.